Have you ever wondered what the Oklahoma Statutes would look like in a picture? You will find the answer below. Sometimes it is easier to visualize rather than read complicated but interrelated topics. This concept even applies with the Oklahoma Statutes that cover Oklahoma non-compete law. 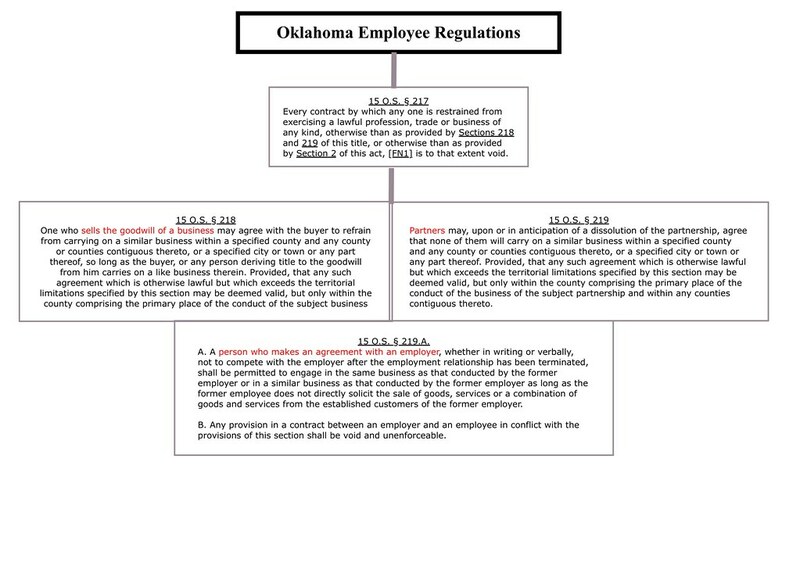 There are several statutes that make up Oklahoma non-compete law and they are laid out below in this handy diagram.